Product Description Aurora Electric foot Warmer chilly nights warm feet… Features: .. Product Description High Quality 2000W fan heater with Coil heating elements Adjustable the.. Features: Low Noise Metal Outlet Recessed handle Power indicator light Wide angle .. Product Description Aurora Fan Heater Warm Days Hot Nights Overheat Protection Features:.. Features: Low Noise Recessed handle Power indicator light Wide angle oscillation O.. Product Description High Quality 1500W fan heater with Safety PTC ceramic heating element A.. Carbon Fiber Heater- Product Description Aurora Carbon Fiber Heater Wa.. Features: Sun Heater Safety tip-over switch Wide-angle heat reflector Over heat prot..
Aurora Quartz Heaters Features: Safety tip-over switch Wide-angle heat reflector .. 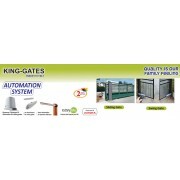 Product Description Halogen Heater Warm Days Hot Nights Overheat Protection Features: .. 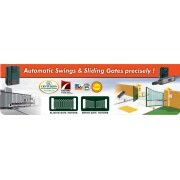 Product Description: Sun Heater/Warm Days/ Hot Nights Features: Oscillation 2 heat s.. Product Description: Far Infrared Ceramics Heater. Overheat Protection Features: .. Product Description High Quality 900W Halogen Sun heater with Safety Overheat Protection ..